This Real Estate Q&A appears in the New Year’s Weekend issue of The Sheet. Q: We follow your regular real estate reporting and 2018 was certainly interesting. You haven’t looked toward what 2019 will bring to the Mammoth real estate market yet so what are you seeing?? A: To best look at what may happen in 2019 we need to look back at what happened in 2018. And yes, 2018 was an unusual year for Mammoth real estate. Some of the highlights include the brisk activity during last year’s holiday period through the winter and into spring, the strong activity in both the commercial market and the true luxury segment of single family homes, and the continuing activity in the condo segment attracting buyers looking to develop and operate nightly rental properties. The strong sales activity of last winter was a historic anomaly. It may be the sign of a new trend. The winter of 2019 will tell. In the more recent past the heated selling periods have been the fall (the “anticipation of winter”) and the spring while visiting families were here for extended periods of time. Some of that has changed due to the Internet and the advent of MLS Internet Data Exchange (IDX). I can assure you there are lots of people who watch the Mammoth real estate inventory religiously. They might be owners already, but many are looking for that “perfect” property. And many are frustrated. But the winter oriented buyers are a strong real estate cohort, and obviously they are here in the winter. They are here because of snow. And they become interested in real estate and want to purchase. So winter may becoming the prime selling season again. It was that way in the 1970’s. The movement in commercial real estate was also an anomaly. Part of it was due to the simple availability of desirable properties. Part of it was improving local economics and investors looking for Mammoth opportunities. Commercial vacancies are down. All-in-all the commercial corridors of Mammoth are as healthy as they have been in many years. The sales of $1M+ homes and condos was also impressive. And it lasted through the entire year. There were several sales that exceeded $2M. And there are high-end custom homes being built in plenty of locations around town. And potential buyers driving through nooks-and-crannies of the Mammoth neighborhoods see good signs everywhere. There are very few distressed properties. And the “Airbnb Effect” continues to drive condo sales and improve condo values. Especially condos that are in “turn-key” condition — ones that are basically ready, or easily made ready, for nightly rental. Other buyers are looking for prime condos needing remodeling so they can create their own special nightly rental property. This is a significant trend in the Mammoth real estate marketplace. Many are discovering the small business opportunity, the flexibility of usage, and tax benefits of owning such a property. This segment of the market will remain fluid into 2019. As values nudge upward the return on investment can decline. But for now the rental demand is strong and Mammoth is short on transient rental beds. Interestingly, both owners and renters are becoming more reluctant to utilize Airbnb as they realize the ever increasing fees being charged by Airbnb (they do intend to go public in 2019). The nightly rental models are likely to be changing again. 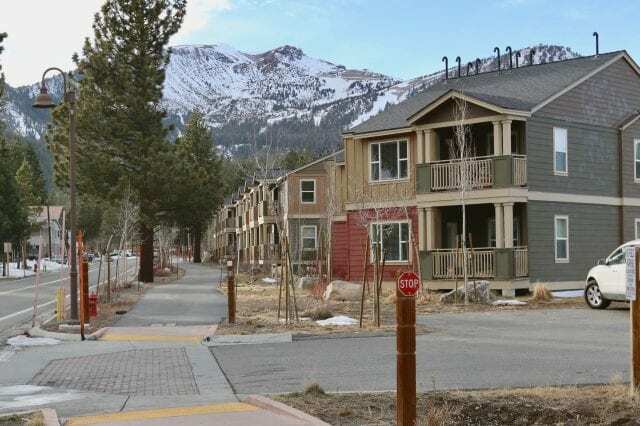 Ultimately the real key to owning a condo in Mammoth for nightly rental is for the income and business benefits but also usage. And for many, the more of all three the better. The biggest thing for Mammoth real estate in 2019 may be YotelPad. What? The Yotel hotel brand is increasingly popular. They are centered in many metropolitan areas especially near internationals airports. But their brand is spreading. The YotelPad is the condo hotel version. The brand features minimalist type hotel rooms but with larger and more interactive social and gathering spaces. The concept is supposedly targeted at younger generations but it may be a societal trend. But the bottom line for Mammoth real estate is a level of marketing and hyperbole not seen since the Intrawest days. And ironically the Yotelpad developers are basically the old Intrawest group. So they know Mammoth and they know what they are doing. 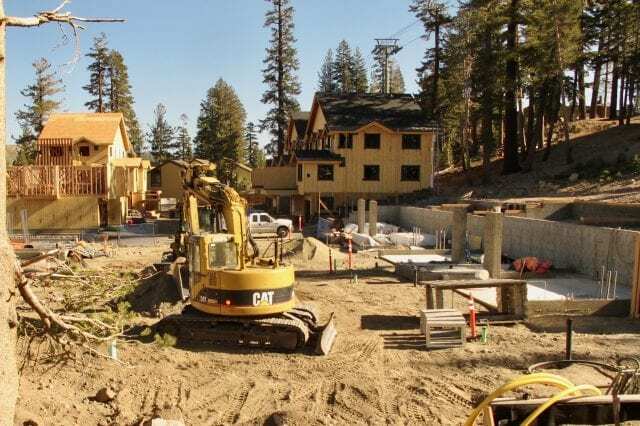 They built all the condo hotel units in Mammoth 10-15 years ago. And they know all about “the transfer of enthusiasm.” The project site is the old Dempsey corner at Main and Minaret (Nevados). Their exhibit and sales office is right there and will see major traffic all winter. I encourage people to check it out. Maybe get a coffee beforehand. In the past this transfer of enthusiasm transferred to the balance of the real estate market. The timing is good. The optics of development brings confidence to the market. The product has strong appeal to younger generations and international types. But I wouldn’t rule out baby boomers (especially those who have downsizing in mind). The marketing push alone can create new levels of interest in Mammoth real estate. We’ll see how far it goes. The Ikon Pass phenomenon is also taking hold. It is for real. It is creating multiple levels of new interest in Mammoth including from people who have never been here before to people who haven’t been here in a long time. I’ve personally witnessed this in the past 30 days. How it will impact the local real estate market this winter and beyond is unknown. But new season pass offerings have always created new interest and demand. It may create new demand for condo rentals and rental ownership. It may drive more interest in the condo hotel properties, including developers and more development. Based on recent public reporting by Vail Resorts, the Ikon Pass has already put a dent in the highly successful Vail Epic Pass offering. As the Ikon Pass builds new affiliate resorts and opportunities (seems like an almost weekly news item) the more popular it will become. And many of the Epic Pass holders are ready to try some new resorts (like Mammoth). But there could be headwinds for the Mammoth real estate market. 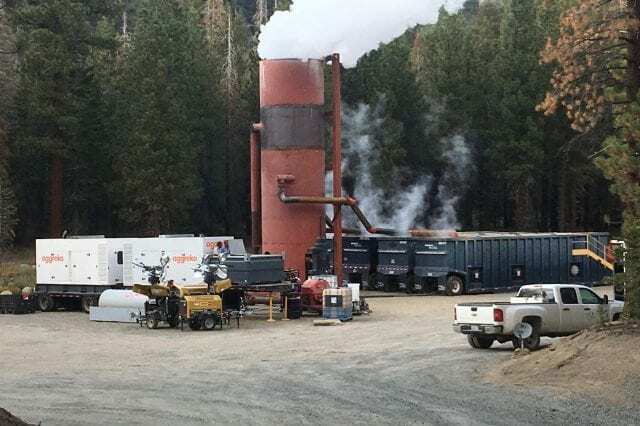 Considering tax benefits and taxation, 2019 and could be a year of re-evaluation for many Mammoth property owners. It might not become obvious until filing the 2018 tax return. The years 2020 and 2021 could also bring some surprises. The loss of SALT (State and Local taxes) deduction may have some second homeowners converting their properties to rental properties, and not to long-term rentals (again, that is the beauty of a vacation market; income and usage). 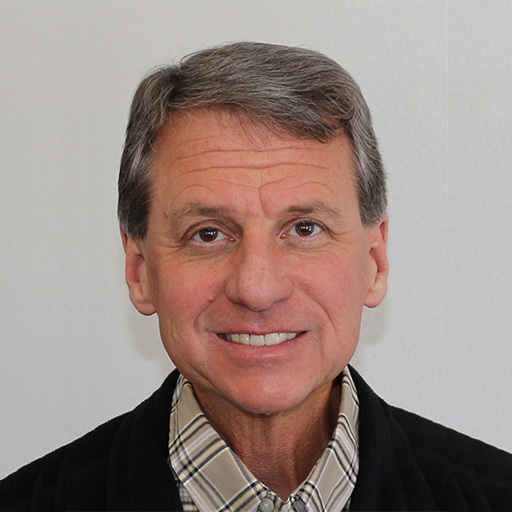 Beyond 2019 there are rumblings from Sacramento that changes may be coming. Prop.13 will be coming under attack. It will start with commercial properties, then maybe investment properties and second homes, and eventually primary residences. That could turn everything upside down. Certainly the greater economics and real estate markets of California and the nation will impact where Mammoth goes in 2019. Rising interest rates may seriously affect first time homebuyer markets but they have less negative impact on second home/vacation markets like Mammoth. The strong luxury market sales of 2018 were likely a result of a stock market perceived to be at a peak. It has worked that way in the past. Before we forget, remember Mammoth had explosive real estate value appreciation during the short recession in the early 2000’s. And as I’ve been consistently pointing out, Mammoth values are still not back to the mid-2000’s peak (spring of 2006 according to the County Assessor). The bulk of Mammoth’s current values are in the 70-75% range of those all-time high values. Mammoth doesn’t consistently move with all other markets. If the Federal Reserve continues to raise interest rates and simple passive returns for CDs and money market accounts continue to climb, the impact could be felt on the nightly rental condo market and values. The desperate “search for yield” dissipates with these higher rates. But again, these investments don’t allow their owner to come to Mammoth and use their Ikon Passes. And lastly, fire insurance concerns have yet to hit Mammoth broadly in the face. We are right in the middle of a National Forest. The whole place is a designated Fire Hazard Zone. But thankfully the Mammoth region and the surrounding forest has been aggressively and thoughtfully managed in the past 10-15 years. The local agencies are to be commended. It hasn’t been easy. The management has included major fire breaks cut and cleared in critical areas around town especially to the north and south of town. Most of that is National Forest. Vast numbers of dead trees have been eliminated including those on privately owned property including vacant lots (at significant expense to their owners). Private properties are consistently inspected and cited for fire dangers. The local above-ground utility lines have been cleared of all dead trees and the encroaching limbs of live trees. As we have seen so brutally, these precautions are worth it. But higher insurance premiums are certainly in our future. For now Mammoth has snow and solid tourism and the wind of the southern California economy at its back. There are new, outside interests driven by Mammoth being one of the anchors of the Ikon Pass. 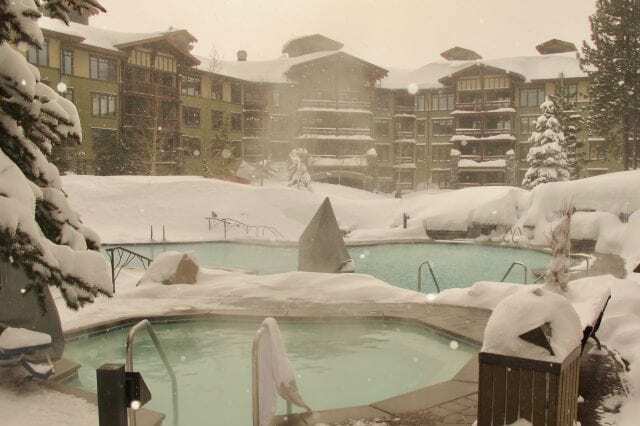 And the Alterra Mountain Company is spending serious money on improvements at Mammoth Mountain (go look at Canyon Lodge). So far, 2019 looks promising.